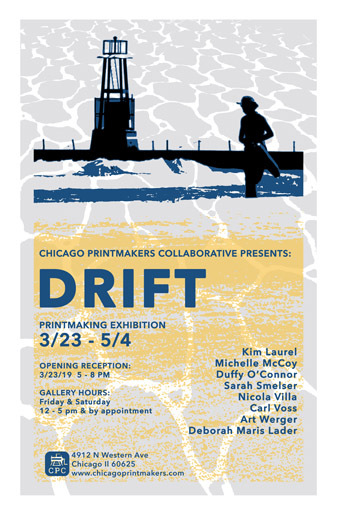 Duffy O’Connor is a printmaker, painter and illustrator active in Chicago since 1999. He is a longtime member of the Chicago Printmakers Collaborataive where he teaches classes in intaglio and relief printmaking . He holds a Bachelor of Arts degree in History from Grand Valley State University and received his Master of Fine Arts degree in Printmaking from the University of Iowa in 1994. In addition to his duties at the CPC, Duffy also teaches at the Evanston Art Center and Harper College. As a child, I loved drawing pictures and I have yet to stop. I’ve never wondered why. I was once told by a graduate of Northwestern University that I am the best instructor she had ever had; and the student prefaced her compliment by referring to her experience at Northwestern. that made me feel good.